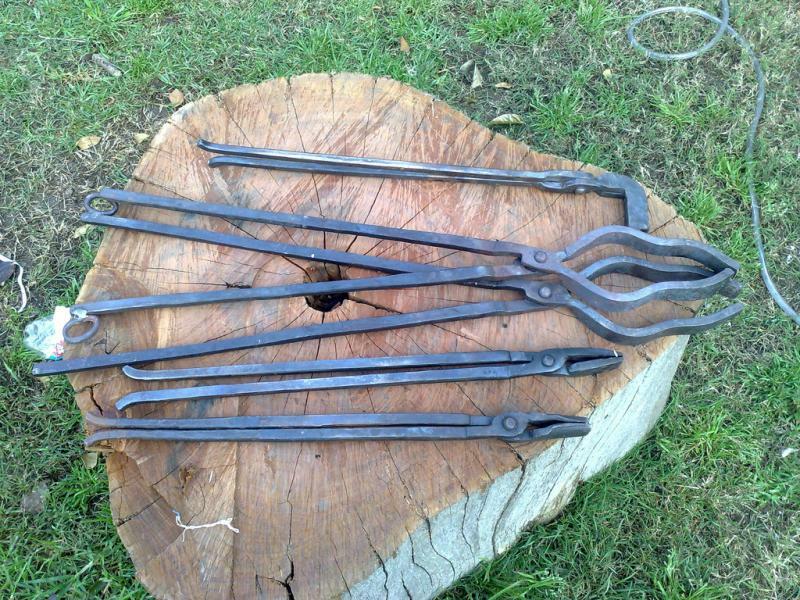 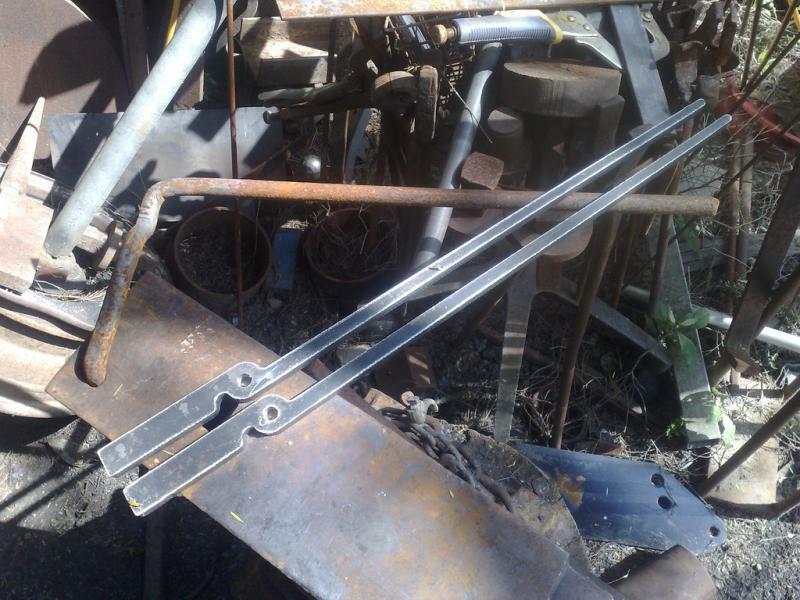 brisbane blacksmith supplies - Forged Blacksmith Tongs, Fabricated &Laser cut tong blanks..
most forged tongs made for/per order, so not always in stock. 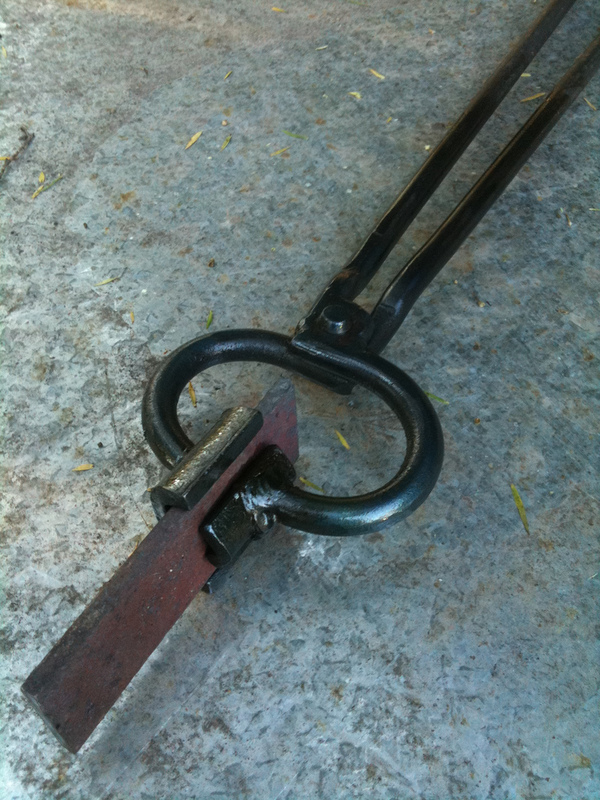 Iwill have the pics up for the indian imported tongs soon ( I sell them, I just dont have pics of them yet ). 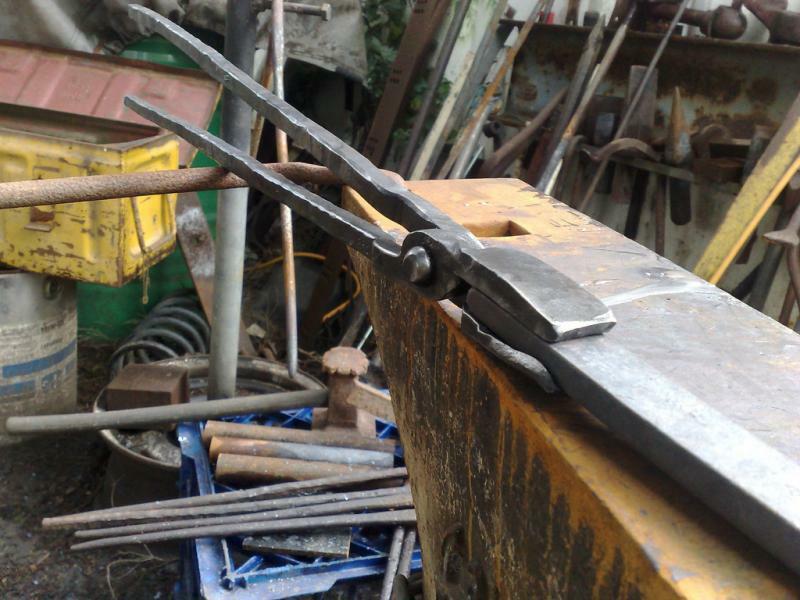 Repairs to tongs and rebuilds, re-rivet, re-shapes are not a problem. 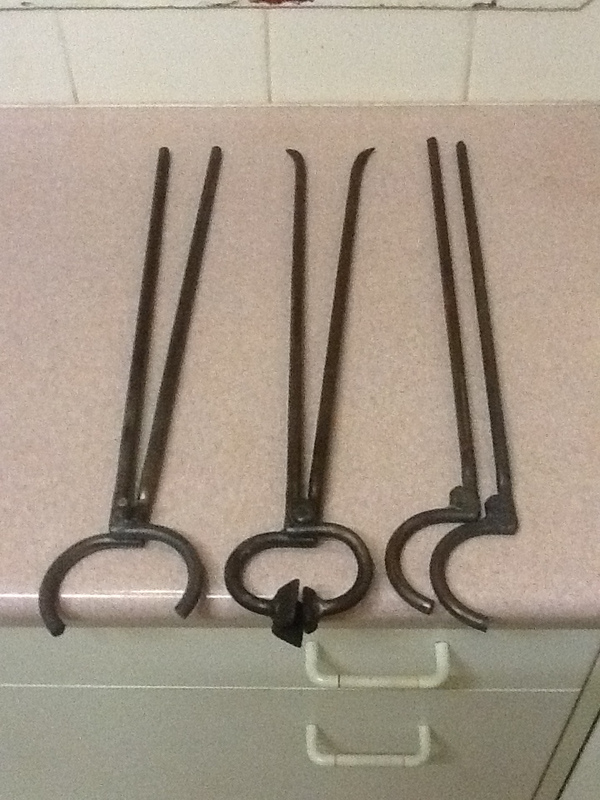 10mm bar stock, hybrid tongs, various jaw styles starting at $45. 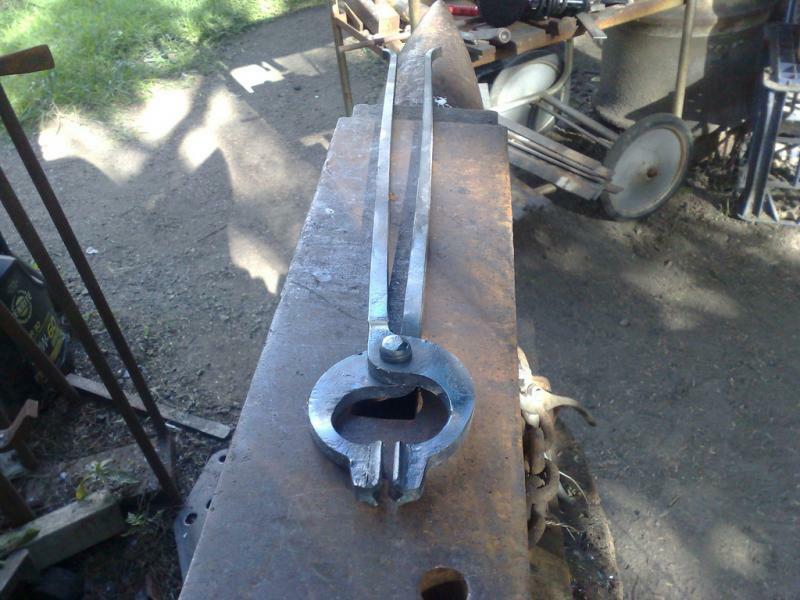 (have a drawing in mind, or need file converted, design files for cnc for a project you have,,give me a call or email. 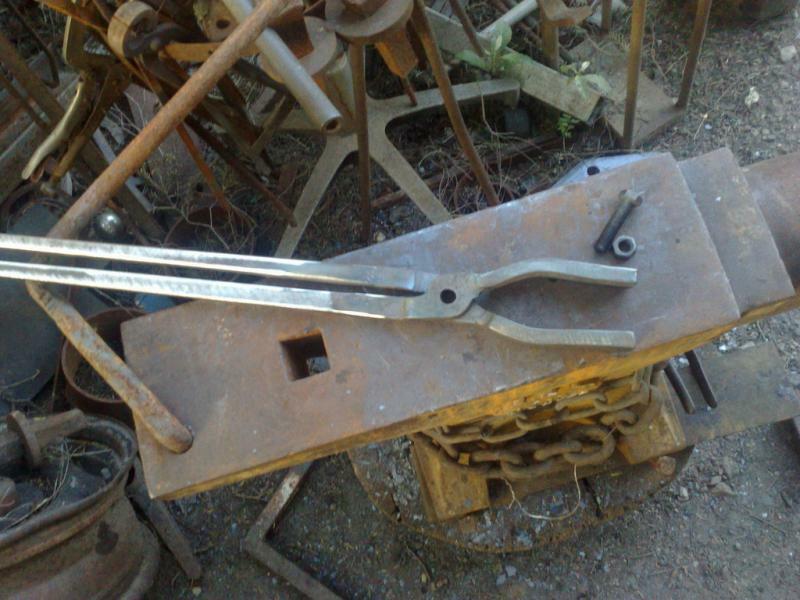 twist 'em, cut 'em, trim, shape 'em, extend 'em, weld on a box jaw, ..how you want from small to medium heavy tongs or shape to bolt tongs. 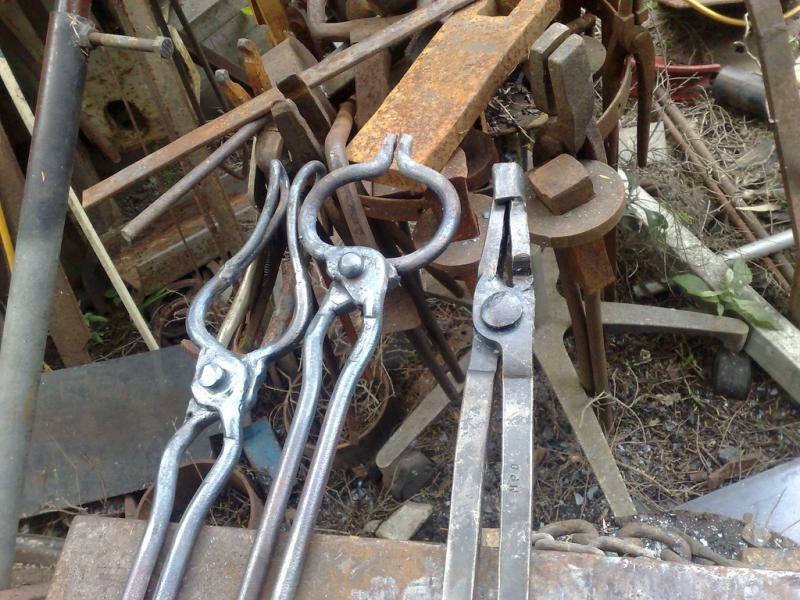 6mm, 8mm & 10mm rivet or bolt, the perfect gift for yourself, or someone else, have some sitting in the bucket ready for an awkward job. 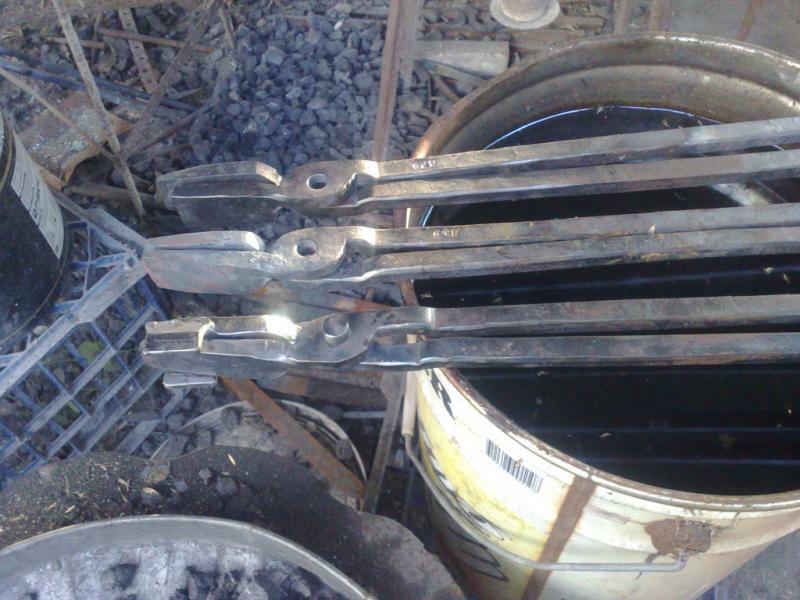 The perfect first pair of tongs or beginner tongs, you dont need tongs to make 'em.They work for me. 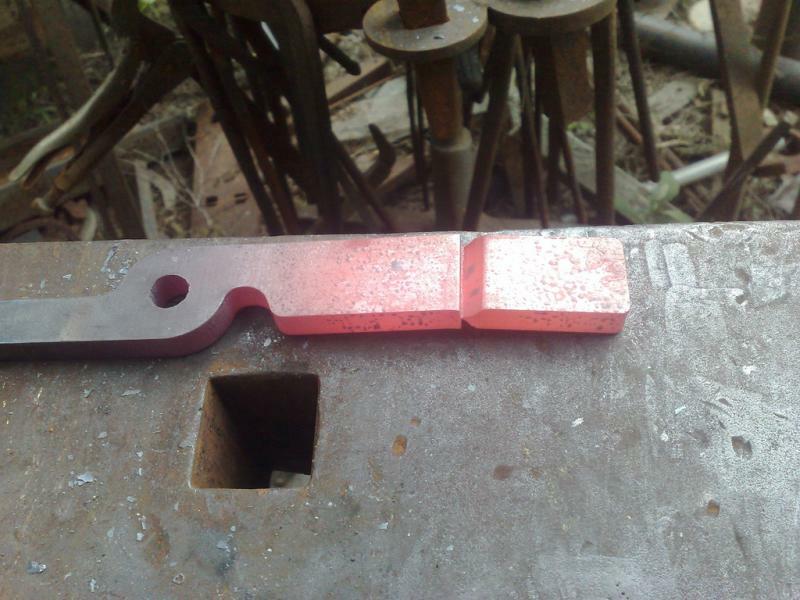 coming soon.... a range of the blanks for dedicated bolt tong and bottom box jaw tabs, for light and medium. 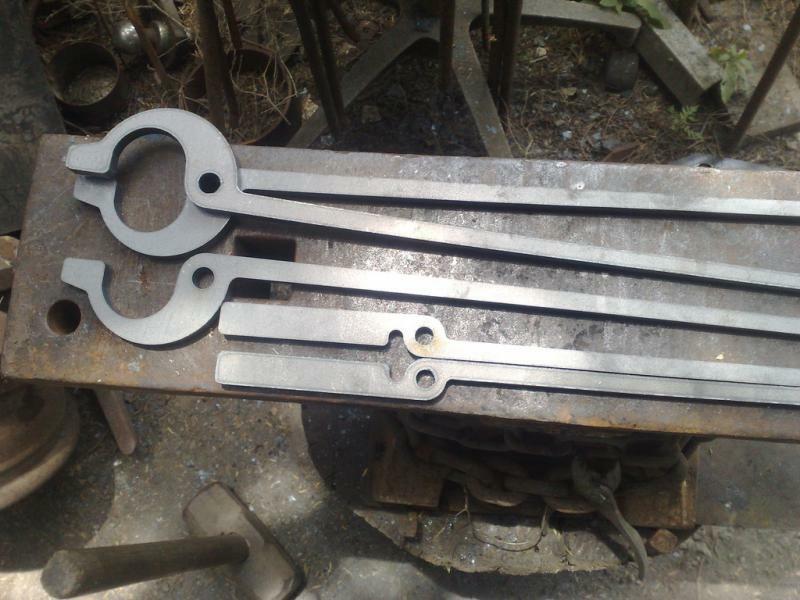 (AND!..there here...) Trim or shape to suit, and your away! 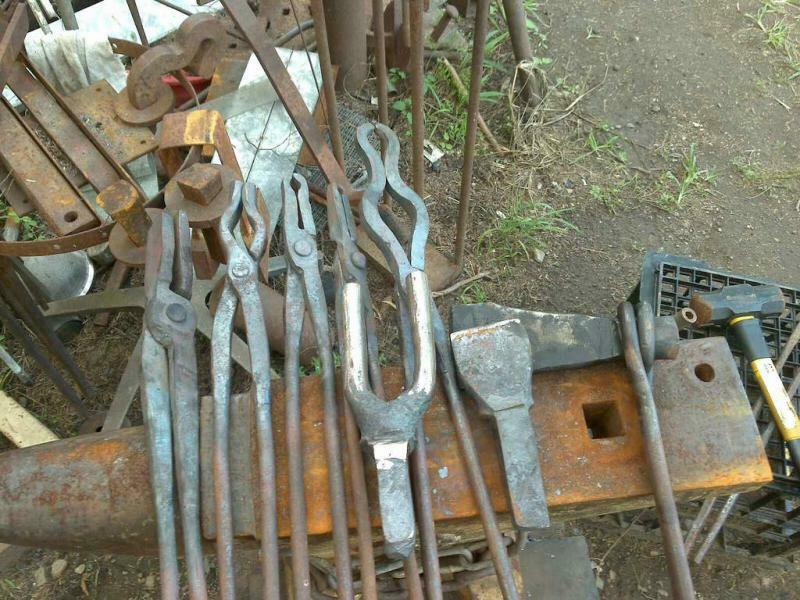 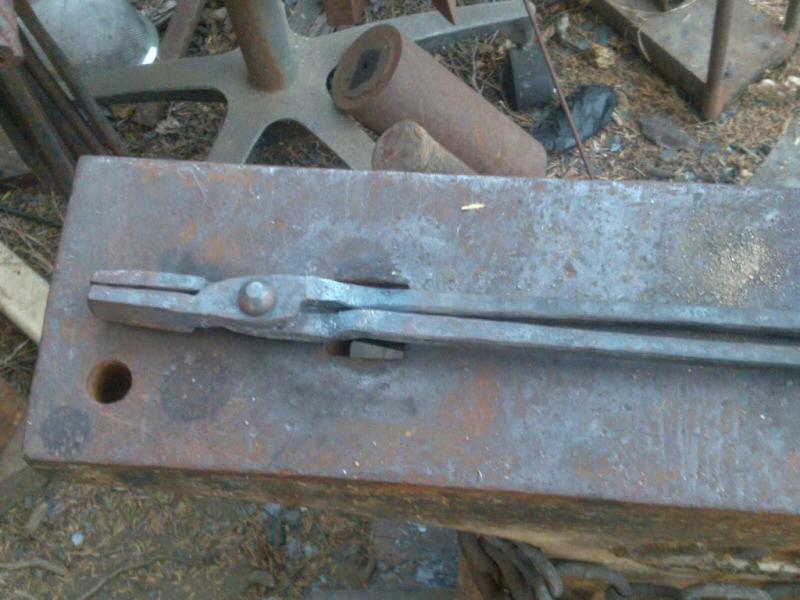 Fabricated/forged tongs, welded hinge, 10mm bar, 8mm rivet, 450mm reins, various jaw types, like the 2 sets above left, start at about $30 and can make a cheap solution, for a light to medium work tong addition the the tool rack.